While the sentence is short, it packs within it an amazing amount of theology. It teaches that God must be singular, God must be creator, and God must be eternal and separate from his creation. These attributes of God are not only logically coherent, but they do a lot of work at eliminating may other faith systems. The first foundational belief Christians hold is there is one God and only one God. I've explored this concept here, explaining that “for God to be Almighty God, He has to be a single being.”3 The fact that God cannot have an equal rules out Eastern faiths such as certain forms of Hinduism, Mithraism, and more modern faiths like Mormonism. Not only must God be a single being, he is recognized as the creator of everything else. God cannot be God is he is merely a part of something bigger because just like polytheism above, it robs him of his supremacy. God can never be a part of a larger whole. Given this, we know God is therefore self-existent. He needs nothing or no one else. Only God has this attribute. All other things are contingent. They rely on someone or something to create them or to empower them. The universe is running out of time and energy, therefore it must have been wound up a particular point in the past. The universe cannot exist for eternity because its energy would have been depleted an eternity ago. Further, the universe is inside time itself, and the existence of time needs explaining as much as the existence of matter. We describe the created universe as matter, energy, space, and time. We've said that those things that have a beginning, like our universe, need a creator to explain their existence. However, for God to be God, he cannot rely upon any kind of creator. Therefore, God must have never begun to exist. God is by definition uncreated and eternal. He has no beginning and no end. Given each of the points above, we can know that God is transcendent. In other words, God is separate from his creation. He did not need to create the universe and could have existed just fine for eternity without creating it. The doctrine of God's transcendence is an important one and rules out most other Eastern faiths. 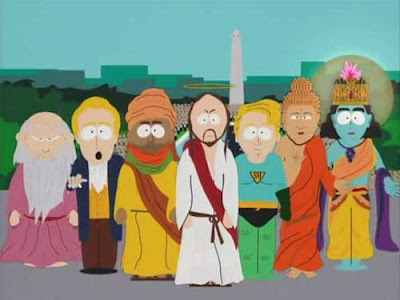 Beliefs that hold to a concept that where God is either inside his creation (panentheistic faiths such as Buddhism, other forms of Hinduism, animistic faiths like those African tribes or Native Americans held) or faiths that believe all is God (pantheistic faiths such as Taoism and Vedanta Hinduism) fail here. In understanding what God must be, one can effectively eliminate all belief systems that are not monotheistic as being logically inconsistent. The Nicene Creed gets the concept of God right in its very first sentence and screens out not only those belief systems mentioned above but other faiths like Mormonism with its unending generations of exalted beings or Christian Science which is ultimately pantheistic.4 If God is to be God, he must be almighty, maker of heaven and earth, eternal, and transcendent. Spaghetti monsters or flying teapots won't cut it. Anything less is not God. 1. Esposito, Lenny. "How to Spot Impostor Christianity." Come Reason's Apologetics Notes. Come Reason Ministries, 21 July 2015. Web. 22 July 2015. http://apologetics-notes.comereason.org/2015/07/how-to-spot-impostor-christianity.html. 2. "Nicene Creed." Christian Classics Ethereal Library. Christian Classics Ethereal Library, n.d. Web. 22 July 2015. https://www.ccel.org/creeds/nicene.creed.html. Last time I discussed rationalism and naturalism, two worldviews that changed much of how we perceive our modern world. But naturalism is not the end of the story, even though there are many who hold those views today. 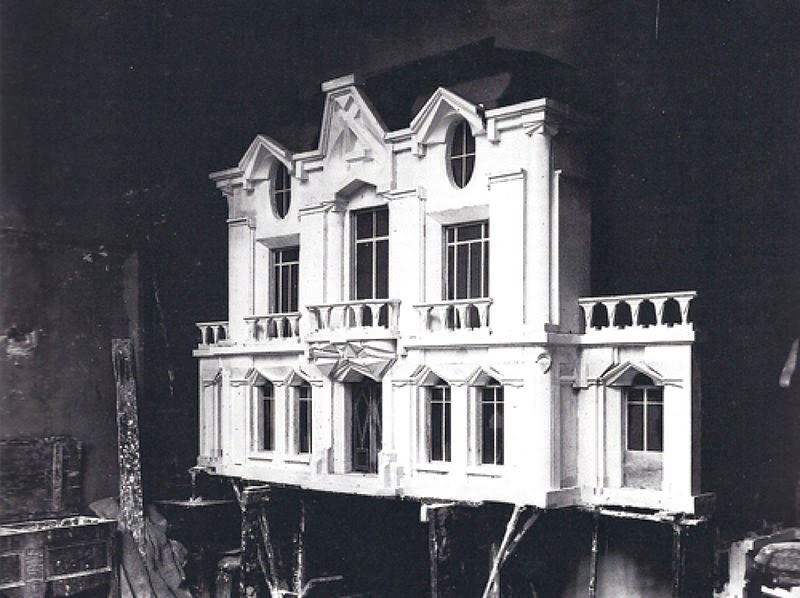 Out of the assumptions of naturalism, a new idea began to take hold in the late 19th century and early 20th century, known as the modernist movement. 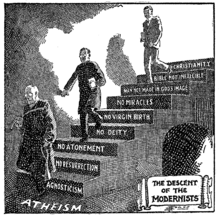 Modernists wanted to not only abandon belief in God, but felt that religious faith was just one of many traditional ideas that were slowing down the advancement of man. The modernists held that if you don't break from the traditions of the past you will never grow beyond them. This made sense to them; if religion was hindering science, then all past traditions are suspect. God was no longer a factor in the modernist's day-to-day thinking, so holding onto traditions were at best silly and at worst debilitating. They considered nothing as established or sacred. Social organization and daily life had become outdated and it was essential to sweep them aside and reinvent culture forever. 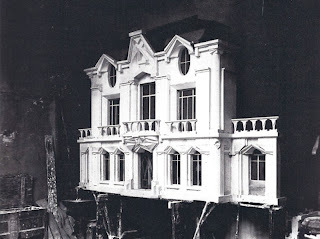 The goal for modernists was to find that which was "holding back" progress, and replacing it with new, and therefore better, ways of reaching the same end. In order to advance, man needs to reinvent himself, breaking free of the traditions that have been holding him back. Man has the ability to become more and more perfect. 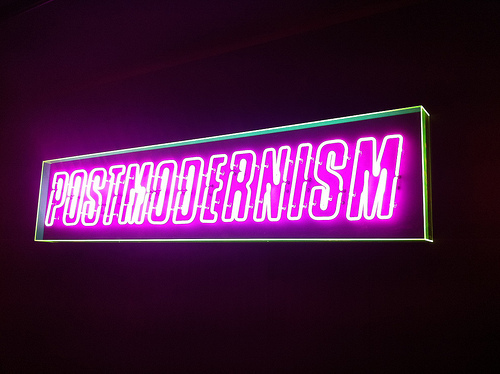 Postmodernism – "It's all about me"
Modernism failed to bring the next advancement in human evolution some of its adherents thought it would. Wars were still fought:World War II was the largest conflict in history and originated in Europe, the birthplace of modernism. People still took advantage of each other. Cruelty and crime continued to flourish no matter what advancements science and technology brought about. Rationalists and modernists hadn't realized the impact factoring God out of the equation would have on society. In factoring out God, they also factored out the concept of sin. They thought human beings had it within themselves to make themselves better. But the Bible teaches that we are inescapably corrupted by a sin nature. We cannot live perfect lives, it's simply impossible. Since modernists had already excluded God from any explanation as to why their utopia was failing to materialize they had to come up with another way of looking at the world. Their proposed solution is Postmodernism. Each person will shape his truth in his own way, due to his biases. Since all truth is molded, no one's truth-claims are any better or worse than anyone else's. All "grand stories" which are claims to universal truths, should be rejected. All morality is relative to what each person believes to be true. Modernism held that in order to advance one must throw out past traditions. However, one thing that modernism did hold onto, like all previous worldviews, was the concept that there was a truth to be known. In other words, each worldview may have differed in their beliefs on how to find truth, but they all believed that truth was something separate from and independent of themselves. It could be known. Advocates for post-modernism said that even these ideas needed to be jettisoned. They argued that all communication is colored and molded by the biases and beliefs of the communicator. This means that no one can discover a raw truth, since he or she will read into it those biases and then reinforce them when communicating to others. The problem, they believe, is these assumed grand stories were ignoring the fact that no raw truth could exist, when in reality they are discounting one bias and favoring another. Therefore, there really shouldn't be any grand stories but we should allow each person to experience truth in his or her own way and there is no real right or wrong to it at all. Postmodernism, in losing the meta-narrative, caused man to lose his moorings and purpose for himself in the world. God had already been dismissed as non-existent. Rationalists and modernists felt that man had it within himself to find the meaning of life. But now, the postmodernist strips even that away and says there is no real meaning of life. You can make anything mean whatever you want. Postmodernism’s "Grand Story" is to reject all Grand Stories. But if that true, they must reject their own – which means that they should accept others. The position is hopelessly self-contradictory. But think about the implications of this. Imagine if you lived in a country where they had no values printed on their money, only animals. You walk into a store and try to purchase something. The shopkeeper tells you that the bill with the eagle is worth ten of the bill with the bear, whereas another shopkeeper says the bear is worth twice as much as the eagle. You can quickly see how in such as system that money becomes valueless. I would not want to be paid in bills that have no set value accepted across all areas of the economy. I would want to be paid in tender that everyone agrees is valued the same. Similarly, when there is no real meaning to life, then any meaning you try to create is simply a fraud. Therefore, by trying to make meaning malleable, postmodernists really strip meaning of any value at all. Yesterday, I discussed the importance of understanding what a worldview is and the fact that everyone has one. There are many diverse worldviews that exist today, and we can see that even within the different ideas about how the world works, there are common threads that run through each. All worldviews start with what philosophers call a "meta-narrative" or "Grand Story". These are beliefs or ideas about God and truth. Meta-narratives are the foundation and basis of what shapes one's worldview, they inform and color all our other beliefs. They deal with how we got here, why we're here, and how to discover truth about the world around us. I want to spend some time looking at four of the most widely accepted meta-narratives by people throughout history. To be sure, all of these worldviews exist today and studying them a bit will give us a better grasp of how others ground their concept of truth. "We Need God to Understand His Creation"
Traditional theism is the position taken by most people historically. Theism holds that there is a God (or perhaps gods) who is responsible for creating the world. It further implies that the world was created with some type of order to it; there are laws that govern how the world works. Judaism and Christianity especially hold to the idea that God has created the universe with certain features or laws that are orderly and reliable. If one were to create the same set of circumstances today (such as dropping a cannon ball off the Tower of Pisa) that he had set up a year ago, he should be able to achieve the same result. This idea of purpose shows up everywhere. A seed that is planted and watered should grow into a tree. Introduce a fungus or virus into that tree and it can die. The traditional view holds that God created the world in a rational, predictable way. It therefore means the world is predictable and laws of physics we discover today will allow us to predict outcomes tomorrow or millennia from now. Of course, physical laws like gravity are not the only things that are predictable. 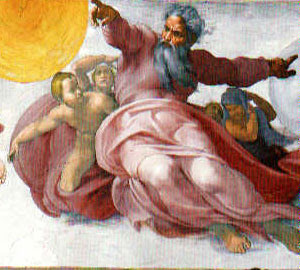 When God created human beings, He created them with some unique differences from all other creatures on earth. For example, animals are aware of their environment, but only humans are aware of ourselves. No matter how smart a chip or a dolphin may be, they will never wonder when they will die, or what it would be like to be another species. They are not self-aware. God exists and He created the world. There is an order to nature: a teleos or logical outcome to a set of circumstances. People have the capability to be aware of more than just themselves, though. We can take that awareness and apply it to others. We can sympathize with another person who's suffered a loss or tragedy. We can project what it would be like if we were in the same situation and perhaps try to prevent such a situation from occurring. We can also gain awareness of God and comprehend the concept of a divine being who would have us relate to Him and to others in particular ways. All this means that we can have moral awareness. We have the ability to understand that there are certain things we should or shouldn't do. And if God creates with an order to things, then it follows that there is an order to the way beings with awareness of God and each other should act. Certain moral laws exist that are always true just as certain physical laws exist that are always true. If the circumstances are the same, then God expects us to behave in a specific way. Ultimately, it means that anyone who holds to traditional theism believes there are certain moral precepts that are absolutely true—true at all times for all people in all locations.